“Christopher Robin” is super cute and enjoyable, though not particularly memorable. When I heard that Disney was gonna make a live-action version of Winnie-the-Pooh with a grown-up Christopher Robin, I was a bit skeptical. Was that something anybody wanted to see? Didn’t it sound a bit too much like Hook? Would it be good? Then Ewan McGregor was cast as Christopher Robin and I was intrigued. Then the first teaser trailer came out and it looked somewhat generic, but still really cute. Then the second trailer came out and I was totally sold. Every piece of promotional material since then has just made me more and more interested in and excited about the movie. The big question is: is the movie actually good? The short answer is: yeah, it’s alright. 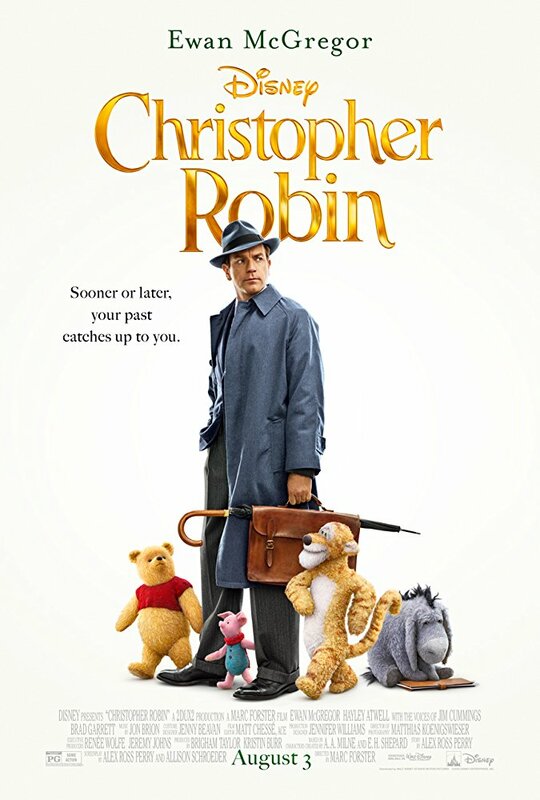 Written by Alex Ross Perry, Tom McCarthy, and Allison Schroeder (from a story by Greg Brooker and Mark Steven Johnson) and directed by Marc Foster, Christopher Robin tells the story of a grown-up Christopher Robin (played by Ewan McGregor) as he deals with work and familial problems. In the heatwarming live action adventure “Disney’s Christopher Robin,” the young boy who loved embarking on adventures in the Hundred Acre Wood with a band of spirited and loveable stuffed animals, has grown up and lost his way. Now it is up to his childhood friends to venture into our world and help Christopher Robin remember the loving and playful boy who is still inside.